We often forget small things after out of tiredness and tensions of the day .But We can overcame to this trouble , by doing Yoga for 10 minutes .These yoga asana or exercises not only improves our memory but also reduces the stress and anxiety we face too often. 1 Sarvangsan Calms Your Brain ! When we lift our body to above by our shoulders force , this position of our body increases the blood circulation to the brain . This yoga position also makes you emotionally strong . We should be lying flat on our stomach . Then gradually raise your head with your hand stand like seated as Kobra. This asana benefits us with comfort , balance and relieves the nerves attached to the brain . We should be squatted down and meditate to make the spine straight . This yoga asana is most easy among all but it fills energy to your body .It increases concentration as well. We should spread our legs and hands down forward and bend to touch the leg with your head .This asana of yoga dispels the tension . The brain becomes sharper by this yoga asana because of blood circulation increase. 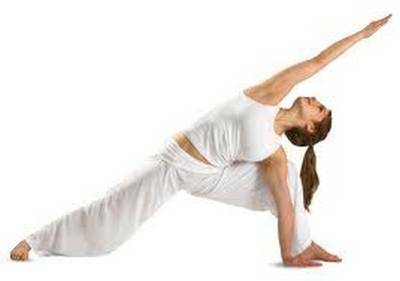 It is beneficial for thyroid patients.The asana makes the whole body filled with energy. We should stand straight and bend our body to the legs trying to touch the earth . This yoga asana increases the power and memory of brain.The increased blood circulation to face makes it radiant and young.It is greatly helps to relive stress level of the body. 5 Simple Easy Yoga Asanas for a better fitness Some Popular Power Yoga Workouts 2 Yoga Positions To Reduce Weight Shoulder stand Yoga-Benefits, precautions and tips! The health, nutrition and other health advice on LifeBing site are for informational & educational purposes only. It’s not a substitute for medical advice, diagnosis or treatment. "A Health & Fitness Blog"